The customer can operate ProLink CMS locally and connect it to their machine control system via the field bus. 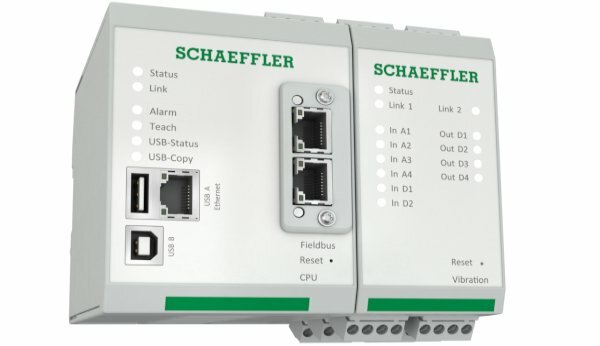 Additionally, ProLink CMS provides the additional option of transmitting the preprocessed sensor data to Schaeffler’s service platform for more specific analysis via MQTT. Customers will have all of Schaeffler’s digital services – including the ConditionAnalyser and load collective classification – at their disposal in the future via this interface. ProLink CMS can be used here as a universal gateway for connecting the sensor level with the control and management levels and even cloud applications. ProLink CMS therefore represents an excellent basis for mechanical and plant engineers to develop sector or even machine-specific Industry 4.0 solutions and thus offer their own added value models.